One hundred years ago Rapid Wien won their second national title in Austria. They've always stayed on top of things, although nowadays the likes of Red Bull Salzburg and Austria Wien make life a bit more difficult for Rapid compared to the old days. After winning the first Austrian championship in 1911/12 by a tiny margin (Sportclub ended the 18-match season with one point less), Rapid Wien was the main candidate for the title in 1912/13. The team had a somewhat bumpy start, with two wins and two draws, but then won twelve times in a row to put themselves out of reach for their rivals. Rapid won for example 7-0 against Simmering, 5-0 against Florisdorfer AC, and 5-0 against Sportclub. In their last match of the season, Rapid Wien also trashed Rudolfshügel 5-0. Other Rapid players that season: Franz Balzer (6 matches/0 goals), Vinzenz Dittrich (5/0), Josef Koceny (5/0),Johan Kowarik (4/1), Josef Schediwy (3/0), Rudolf Kühn (1/0), Gustav Putzendoppler (1/0), Franz Schediwy (1/0), Josef Tauschinsky (1/0) and Anton Wegscheider (1/0). 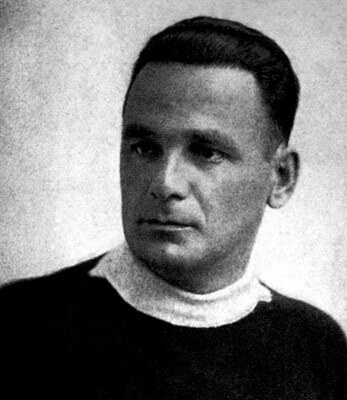 More than half the team played internationally for Austria, Josef Brandstetter leading the way with 42 caps (2 goals). Midfielder Brandstetter was enormously important for the team, picking the ball up from defense and providing the attack. Captain of the team was forward and leading goalscorer Richard Kuthan. Not a selfish player at all, he was the captain a team could only wish for. In 1929 Kuthan (by then 38 years old) won his 8th championship with Rapid Wien. Among the other players Eduard (Edi) Bauer was the benjamin of the team. Just nineteen years old at the end of the season Bauer was an elegant player, with great technical skills. In this season he only scored a few league-goals, in 1917 and 1918 he was the leading goalscorer in the country. Kuthan and Bauer of course were also capped for the national team, with quite similar statistics: Kuthan played 24 international matches and scored 14 times, Bauer managed one less in 23 matches. Other important players were goalkeeper Josef Kaltenbrunner (11 caps for Austria), Josef Jech (2 caps) and Heinrich Krczal (also known as Körner) (7 caps). Defender Fritz Brandstetter was Josefs younger brother, who promised to be just as talented. 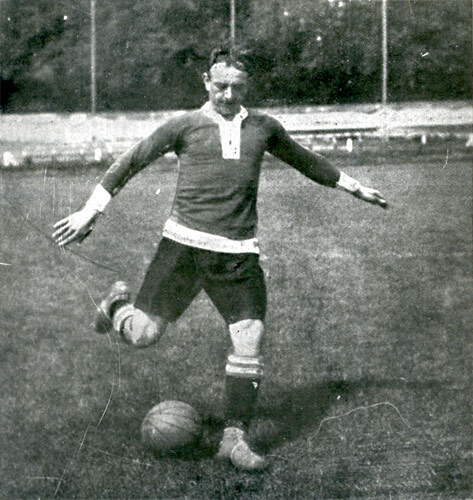 Unfortunately, a knee-injury in 1915 cut short his soccer career, in which he was capped just once, in 1912. Rapid Wien has from the start been the team to beat in Austrian soccer. Most of the players of 1913 were champions four, five times, as Rapid again clinched the title in 1916, 1917, 1919, 1920, 1921.and 1923. From the twenties until the sixties Rapid collected more titles than everyone else, with Austria Wien as their main rival. It temporarily came to a hold during the seventies, as Rapid couldn’t add a title from 1969 until 1981. After that, the drought was stopped, but championships were less frequent. Still, the last title in 2007-08 was their 32nd in history. Rapid Wien is still a household name in Austria, but they now are equal competitors to Red Bull Salzburg, Sturm Graz and archrival Austria Wien. It's about time they get title number 33, though.